Come experience Boshack Outback – a real working farm, rich in history, and offers all visitors an array of hands on activities. Both children and adults have a full interactive experience to get up close and personal with petting and feeding the ducks, birds, kangaroos, ponies, horses and other animals on Boshack Farm. They also enjoy egg collecting, horse riding, tractor rides and lots more! 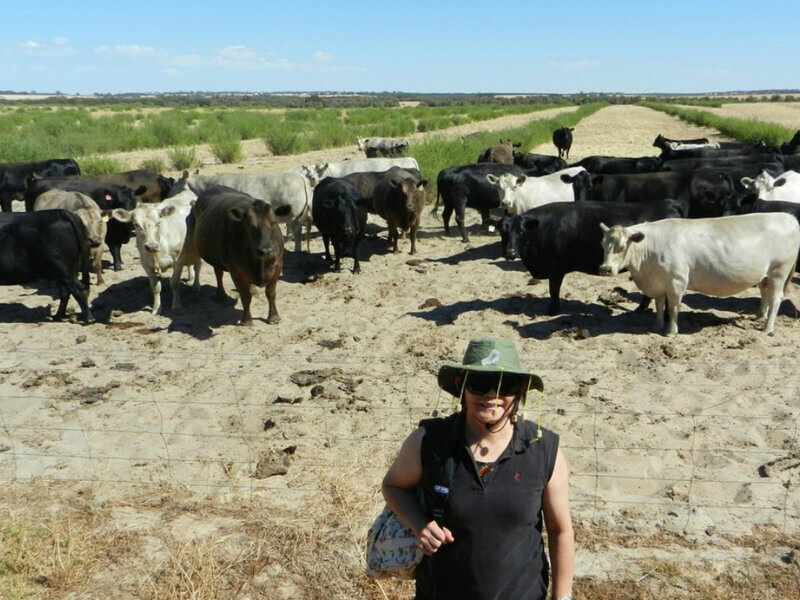 Opt for a Perth Farm Stay at Boshack Outback, to get in touch with nature and experience the true Aussie outback farmer’s life, such a refreshing change from the stressful busy city lifestyle. Your Perth farm stay tour will be full of and educational too, as we invite all visitors to participate in the daily operations of the working farm – activities that will keep you and your family absolutely delighted all day long! Boshack Outback tour itineraries features a wide variety of activities designed to appeal to adults and children. You will visit Boshack’s very own farm. Come breathe fresh clean air and view vast open spaces. The Wild Eco Outback Adventure tour promises you an unforgettable outdoor adventure in the Australian outback. Wild Flowers: Western Australia boasts of having the largest number of wildflowers in the world, with most varieties being unique only to this region and found nowhere else on Planet Earth. Boshack Outback invites you to come experience the kaleidoscope of colour of these vibrant blooms that surround you on scenic drives and walking trails, beauty like no other – especially during the months of September to November. Stargazing: Located in the Earth’s southern hemisphere, Western Australia is identified as the region that shows the best views of the Milky Way Galaxy in the world – from the Jewel Box cluster of stars to the Southern Cross. Relax at Boshack Outback, view the beautiful moonlit silhouette across the lake as you gaze up at the galaxy of stars adorning the beautiful night skies. Billy Tea & Damper: This is an authentic Australian morning or afternoon tea. Our guide will show you how Billy tea is made. Experience Billy tea and damper scones – damper being our very own Aussie bush bread which you can try with our preserves. For lunch, savour our traditional Aussie BBQ. Trailer Hayride: This is one of our visitors’ favourite parts. Hop aboard the “Boshack Express”, our scenic mode of transport on the farm that putts along at a slow pace to allow plenty of time to take in great view of the magnificent scenery of the countryside and breathe in the fresh country air as you enjoy our famous trailer ride across the spacious farm. Didgeridoo Playing & Witchetty Grub: Experience the ways of the early pioneers and aboriginals thousands of years ago. Sit in the oasis environment amongst the paperbark forest. Blow the didgeridoo – it’s an amazing experience! Listen to an Aboriginal Dreamtime story and taste the famous Witchetty Grub – an aboriginal specialty that has been an essential part of the Aboriginal diet for centuries. Boomerang Throwing: Before the white settlers came here, the Aborigines used to hunt for their food using boomerangs. Learn the art of how they used them by watching a demonstration. Then try your hand at throwing a boomerang – it is absolutely fun! Water Divining: Used for thousands of years, water divining is an ancient art of discovering underground water streams known as ‘aquifers’. Try your hand at this ancient art to see if you have a natural gift in water divining. Free Range farm animal feed: Our free range farm animals live in the fields and enjoy their special treat of being hand fed by our visitors. We have different types of animals and birds, depending on the season. Aboriginal Dreamtime: Boshack Outback farmstay in Perth WA – this is where the mind soul and body become one and all of a sudden we start to realize how simple things are very easy to live with. Take a rest in the tranquil paperbark forest and breathe in the clean fresh air as you listen to the stories of the Aboriginal people and early pioneers. You will get to taste bush chocolates, followed by the witchetty grub which must be eaten by all who come to Boshack. Play the didgeridoo, which is a wind instrument developed by the Aboriginal people. It is not as easy to play as you think! 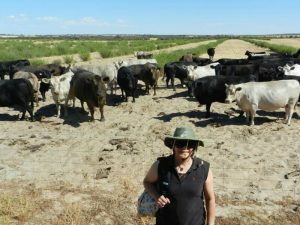 Lifestyle and Culture of our Forefathers: Listen to a talk on how our ancestors lived and experienced life in the outback. Then learn how to eat the local delicacies of the witchetty grub and listen to how they survived in the harsh bush environment of that era. Early Settler and Aboriginal History: The setting in the paperbark forest goes back thousands of years. It was the perfect relaxing area in early life when there was no air-conditioning in the hot weather. 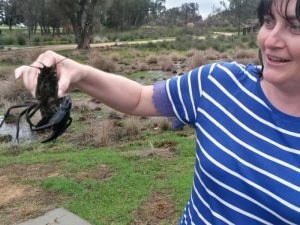 Yabbi Netting: The bush freshwater crayfish was an alternative to the meat diet in the bush. 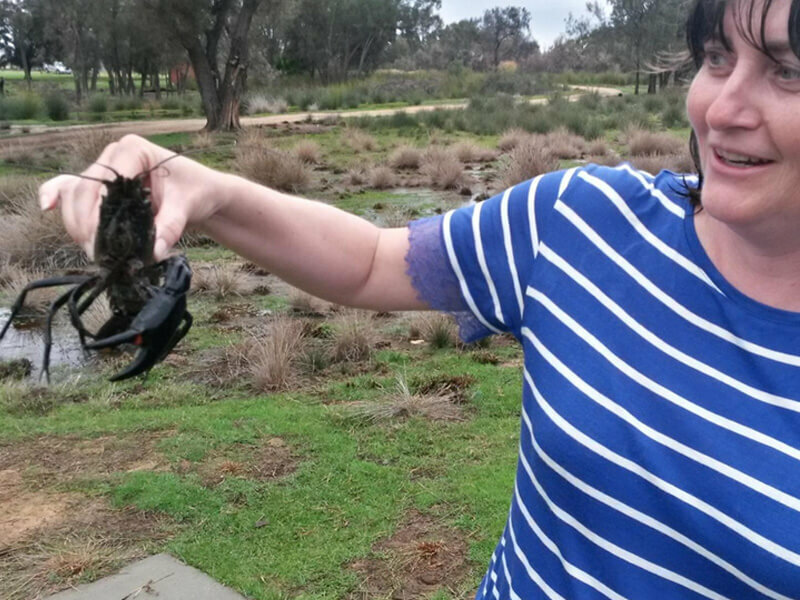 This crayfish is very similar to the ordinary crayfish that is caught from the sea. If you are a seafood lover, then you will simply love this on your menu. Canoeing: We provide supervised canoeing on Lake Serene – a 25 acre spring fed freshwater lake, so clear that you may be able to see the fish swimming around. You really feel like you are away from it all when on this lake, a feeling like no other… enjoy the tranquility and nature in all its splendor. Net Fishing: The early settlers had to catch their own food as they did not have local shops to go to for food. Collect a net and recycled container and try your hand at catching a fish of any size. Please let the fish go afterwards as we really care for the creatures in our environment. Sustainable Environment and Living: Boshack Outback Farmstay is solar powered and has its own fresh drinking water. We strive to preserve this environment for future generations to come. Experience solar power & Yabbi fishing by pulling the nets. Lakeside Relaxation: Boshack Lakeside is a unique oasis in the outback. Listen to the songs of the birds, the soft rippling waters of the Lake, feel the gentle cool breeze caress your cheeks as you unwind and relax peacefully in this majestic environment. Outback Australia: Do a bushwalk on kangaroo trails. Take a trailer ride through pristine bushland. Experience seasonal wildflowers along the way. Canoe on Lake Serene with seasonable wildlife like birds, fish & long neck turtles. If you are staying over, enjoy skies full of stars at the seasonal campfire. Bushwalk: Experience wildflowers and wildlife: During the bushwalk, your guide will show you kangaroo trails from our wild resident kangaroos that come out to feed at dusk and dawn. See the many species of colourful, beautiful native wildflowers as you walk through some of the most pristine and virgin bushlands in the area. Canoe on Lake Serene: Pick your canoe and set off onto our Lake Serene to enjoy the peace and quiet. Look into the crystal clear waters to see if you can find any fish! Don’t forget to look at the skies as you might be able to catch various species of native birds roaming the area. Browse the land around you to see if you can spot the wildlife hiding in the bushes or even our long neck turtles scavenging for food in the lake. Campfire and Stargazing: If you are staying the night in our glampers, you will see the millions of glittering stars come out at night and they’re much brighter away from the city lights. Absorb the peaceful atmosphere as you sit beside a glowing campfire (seasonal) and spin some yarns under a moonlit sky. The famed Southern Cross, Milky Way and even a satellite or two can be recognised as you relax and experience the true essence and soul of the great Australian outback. Pioneer Living – Paperbark forest walk: Enjoy a spectacular walk through the 50 meter eerie paperbark forest inhaling such clean and fresh air, a truly magical walk that one can experience. Experience how pioneers used to live in this bushland. Whilst viewing the paperbark tree trunks, you may also see beautiful butterflies. Visit one of the historic original settler’s water holes which provided the freshest of water. Historic well: Nestled amongst the dense eerie paperbark trees is the amazing stone-lined well, built and used by Bishop Salvado as he journeyed to and from New Norcia over 100 years ago. It is known to have special medicinal purposes and was used by the aboriginal and soldiers at war. Pioneer heritage: Indigenous Australians, also known as the aboriginal people, are the original inhabitants of Australia. Let us take you back in time and reveal the ways of our early settlers who developed the bush and farms and literally lived off the land. The aboriginals had a special affinity with the Australia bush and their knowledge was passed to each new generation. 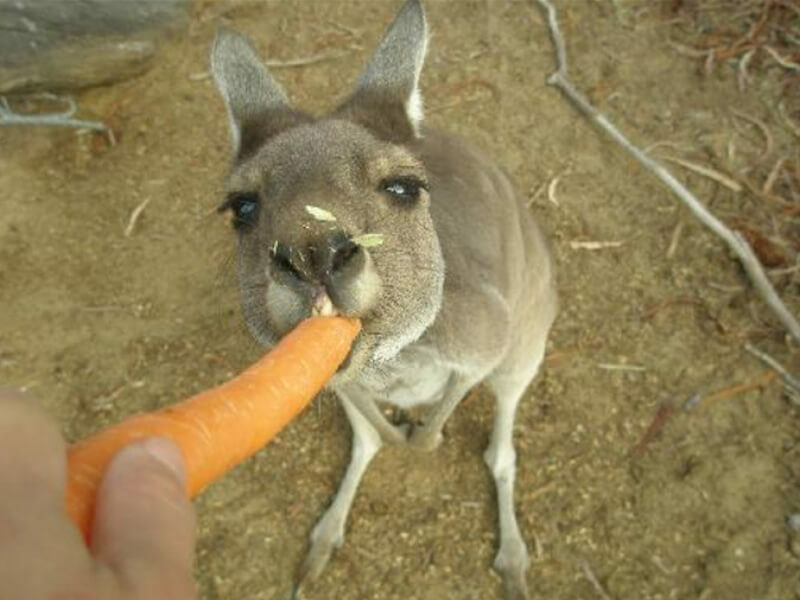 Australian Wildlife: Enjoy the view of Birds, Reptiles, Marron, fish & local farm animals. 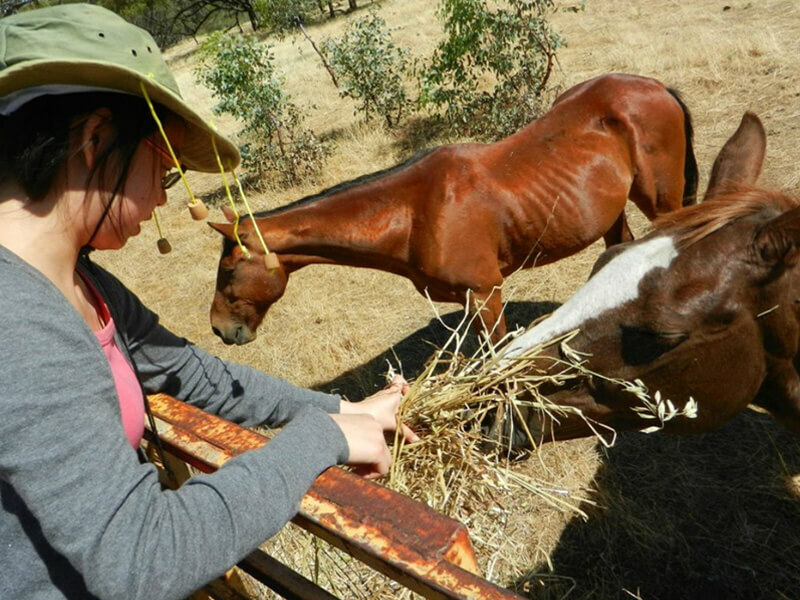 Embark on an Outback Adventure Perth farm tour at Boshack. Feed our farm animals, herd the sheep into the pens, net fish our freshwater yabbis, enjoy the birdlife & possibly see our long neck turtles. Baby lambs (sheep) & foals (cows) in season. Feel the sheep fleece (wool) and learn a little about how the farmers earn their keep. Outdoor Adventure Education: Learn of our local Australian culture, to understand what it is like to live on a farm. The Australian Outback fauna and flora is something a little different as you enjoy the scenery at Boshack. Fauna and and Flora: Through our outdoor adventure education tours at Boshack Outback, you will learn what the Australian outback has to offer. Canoe the peaceful Lake Serene and move amongst wildlife in its natural state. Up to 46 varieties of fauna have been noted. According to the season, you’ll see ducks, parrots and graceful swans and hear the distinctive chorus of frogs towards evening. As you walk through the bushland with your bushwalk tour guide, you will experience the various native flora. As you can see, our itineraries covers it all – giving you the very best of the history, scenery, and wonderful, healthy life in the great Australian outback and Boshack Outback!